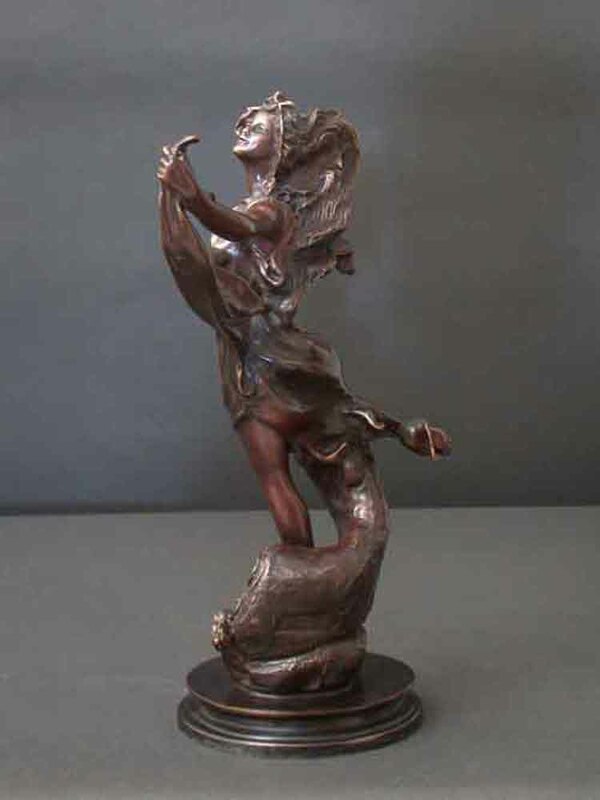 We recently changed the natural bronze base to a black marble base. 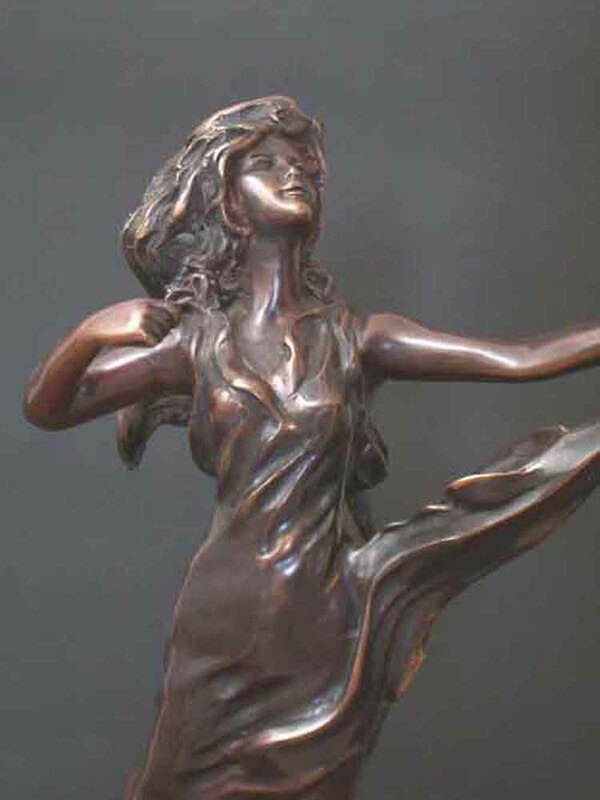 This beautiful sculpture is approximately 14 tall, weighs 10 pounds and is of Exceptional Quality. The bottom is covered with felt so you will not have to worry about scratching fine furniture. This is a Very Stunning piece and is beautiful at every detail. This rare piece is very graceful and a pleasure to view.